Since 2004, Doctor Evidence (DRE) has been providing meticulously curated data in user-friendly relational databases to organizations across the evidence-based medicine (EBM) spectrum. The DRE technology platforms provide a tested EBM-compliant solution that is tailored to the needs of scientists, methodologists, guideline developers, and research organizations. These platforms increase efficiencies, improve quality, and allow organizations to increase the rigor of their guideline development processes, resulting in more transparent, higher-quality clinical recommendations that can be refined and updated quickly and dynamically. Participating EBM organizations have the unprecedented abilities to conduct PICO-based searches of published research, access methodically extracted and digitized data, analyze the evidence, and draft guidelines in a seamless end-to-end solution. 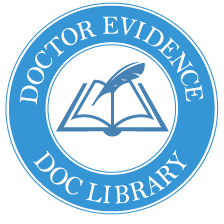 Doctor Evidence’s systematic and transparent methodology ensures integrity and reproducibility of analyses with full references, underlying assumptions, and statistical models. 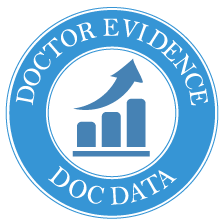 Doctor Evidence’s Digital Outcome Conversion (DOC) approach to data curation enables index-managed data to be stored and tagged digitally. Doctor Evidence applies rigorous, quality-driven methodology throughout the data search and configuration process to collect elements ranging from study-level research design information to granular level outcome data. Specific terms, concepts, and definitions are collected in the terminology of the original authors for “late-binding” after extractions, permitting appropriate analyses and preserving original meanings. A dynamic interface which turns static information from study data points into configured, highly structured curated digital data sets. This centralized online database has built-in capabilities to run sophisticated analyses. DRE’s methodological strategy of using separated layered architectures allows for customized binding of terms (Ontology), creates traceability and transparency to the source document, and complies with the Institute of Medicine (now the National Academy of Medicine) methodology standards. A web-based, interactive literature repository of published clinical studies, FDA drug labels, epidemiological databases, and other validated sources, configured to a client’s needs using a PICOTSS (Patient, Intervention, Comparator, Outcome, Timing, Setting, Study Design) framework. This fully indexed and searchable library is a living asset that allows users to view abstracts and full-texts, as well as to collaborate with others, share findings, and export results. Schedule a one-on-one demo with our client solutions team.